This section provides information and guidance on troubleshooting OpenLDAP problems. Note: This troubleshooting topic is for Edge Private Cloud users only. When SMTP is not set up on the Edge UI, new users added to Edge need a way to set a password. Unknown username and password combination. New users are unable to get an email from the “Forgot your password?” link to set a password because SMTP is not set up. Configure the SMTP Server to set a new password for the user using the instructions provided in the documentation. Open the ldap.txt file and find the dn of the new user that has been added based on the new user's email attribute. Log in to the Edge UI as the new user with the password defined in the previous step. The user can set a new password once logged into the UI. Many Edge installations have multiple data centers, for example DC-1 and DC-2. When logging into the Edge UI in DC-1 as an org admin you can view the list of users, but the same user list does not appear in the Edge UI in DC-2. No errors appear, the Edge UI simply does not show the list of users that should have been replicated across all OpenLDAP servers. Typically the cause of this issue is a misconfigured OpenLDAP replication configuration, not the installation itself. Also, replication may break if the network between the OpenLDAP servers does not allow traffic on port 10389.
retry="60 1 300 12 7200 +"
Check for iptables and tcp wrapper rules. Please remove any rules that do not allow the peer OpenLDAP servers to communicate with each other. Work with your network administrator to set the rules appropriately. Make sure the OpenLDAP system password is the same on each OpenLDAP node. Check for hidden characters in the ldif configuration files that are being used to configure N-Way OpenLDAP replication by running dos2unix against the ldif files that have been created to update the configuration. Typically a ldif file that has bad characters would cause the ldapmodify command to fail to run and so replication may not be set up. Remove any bad characters and save the configuration files. 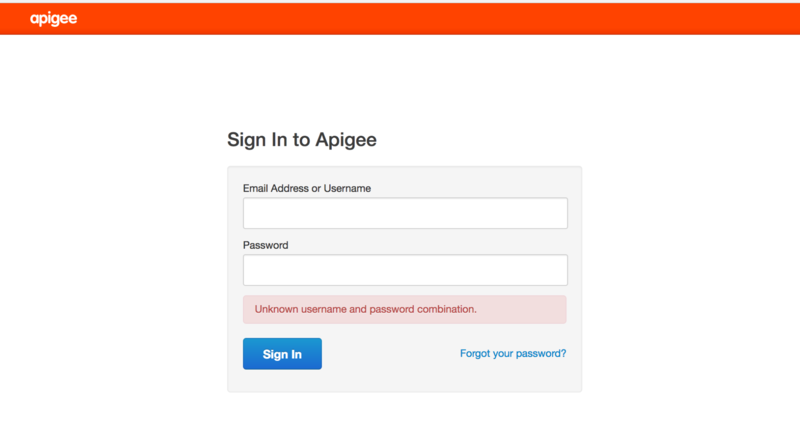 If the problem persists, contact Apigee Support for assistance with setting up N-Way OpenLDAP replication. This issue is typically caused by a lock file that is left behind on the file system and needs to be removed. Delete the lock and pid file, if found, and try to restart openldap. If the OpenLDAP slapd process starts, then skip the below steps. Errors may point to resource issues. Check memory and CPU utilization on the system. Check the version of OpenLDAP and upgrade if it is old. Check for the supported versions of OpenLDAP in our Supported Software document. Users are no longer able to run management calls or log in to the Edge UI. Using ldapsearch utility to query the users may indicate the user exists in the LDAP datastore, or may identify possible missing users or roles. Typically, this issue may be observed due to corruption of OpenLDAP data. Usually, OpenLDAP data does not get corrupted. But in the rare case that it does, the corruption could be due to system disk failure or disk space issues. If you see the disk space used is very close to 100%, then that would indicate the cause for this issue is your system running out of disk space. If your system has run out of disk space or very near to running out of disk space, then add more disk space to ensure you have sufficient disk space. Restore the OpenLDAP data from the backup. Clean up the OpenLDAP database. The following steps can be used to restore the OpenLDAP data from a good backup. Take the backup of ldap_orig/DB_CONFIG subdirectory from step 3, and copy it to the openldap directory. The following steps wipe out the OpenLDAP database to provide a fresh start. This solution can be used if there is no data backup of the last state where the OpenLDAP data was working.